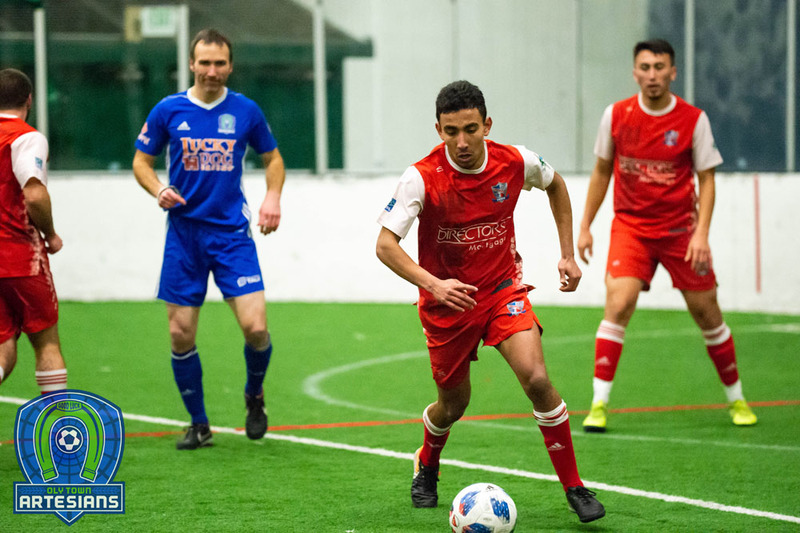 BREMERTON, Wash. – Head coach Ray Finn identified just four bad quarters of indoor soccer all season long for the Oly Town Artesians. Unfortunately, one of those bad quarters happened in the first quarter of the Western Indoor Soccer League semifinals on Saturday when the Olympic Force jumped out to a 3-0 lead after one period, and a 6-1 lead at halftime, and held off a re-energized Artesians team in the second half to take an 8-3 victory. 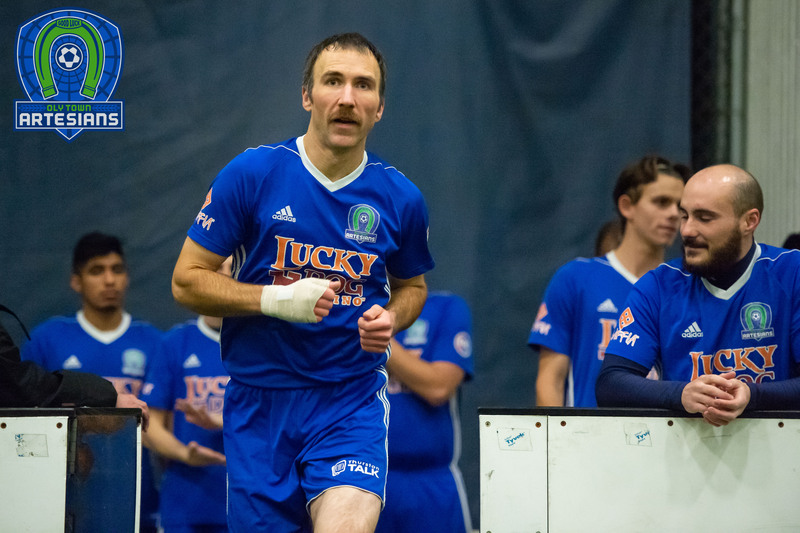 The Force move on to the WISL Championship game in Bellingham next weekend, but will be without David Meherg after he was given a red card for fighting following a dustup early in the fourth quarter. Brandon Meyer was sent off for the Artesians and the two teams were assessed three yellow cards and two blue cards between them as a result. Armando Castillo, Nate Boatright and Gabriele Zaccagnini each scored for the Artesians and gave Oly hope cutting the Force lead to three goals, 6-3, with 3:30 left in the third quarter. But Meherg scored on a power play at the end of the third quarter and Luis Enrique Hidalgo – moments after getting away with a few punches during the fourth quarter fracas – looped one from distance over Artesians keeper JJ Olson. Kyle Johnson notched a hat trick for the Force and Leo Potts, Diego Aceves and Roland Demombynes each got into the act for Olympic. They earn a trip to the WISL Championship and a rematch of last year’s championship game when they face Bellingham United in Bellingham next Saturday. The Artesians wrapped up their season but not before notching a club high four wins and a third place regular season finish, best in team history. Willie Spurr led the team with 14 goals and 11 assists but was unable to play in the semifinal game due to an ankle injury that just wouldn’t go away without a few weeks rest. The Artesians went 0-3-0 in games that Spurr did not play in including the loss on Saturday. 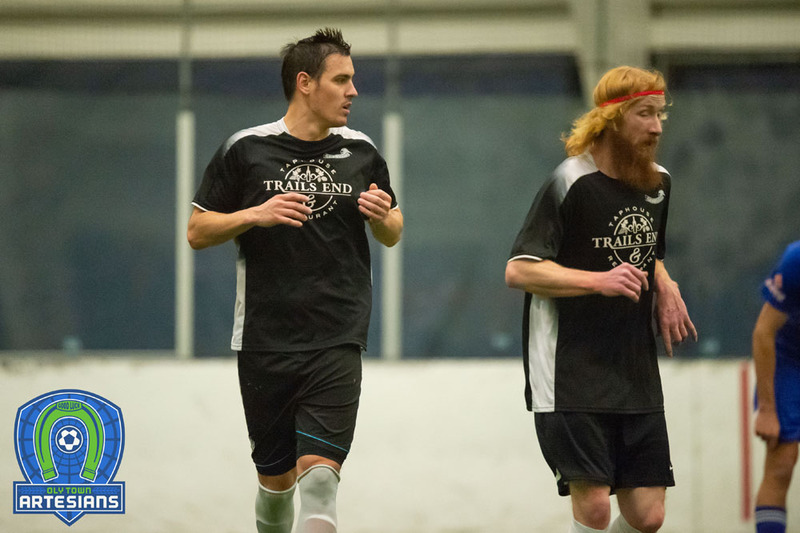 Oly Town FC will now take a few weeks away from the field, but will turn their attention to their inaugural season in the outdoor Evergreen Premier League. 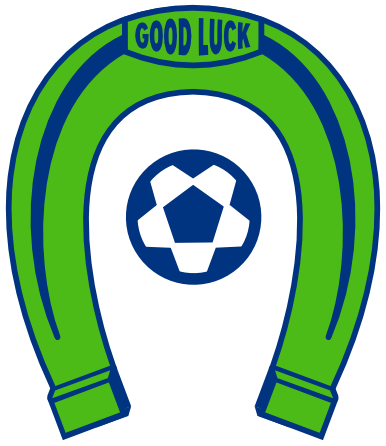 Tryouts are scheduled for March 23rd, 25th and 26th and more info can be found at www.olytownfc.com/tryouts. Well Heads Memberships for the outdoor season are also available by visiting www.olytownfc.com/tickets.